Modern moms face a new challenge in motherhood life, which is the social media trend. They could discuss anything about parenting including feeding the baby. The new trend is now not only discussing, but moms post the recipes of baby food to Instagram. 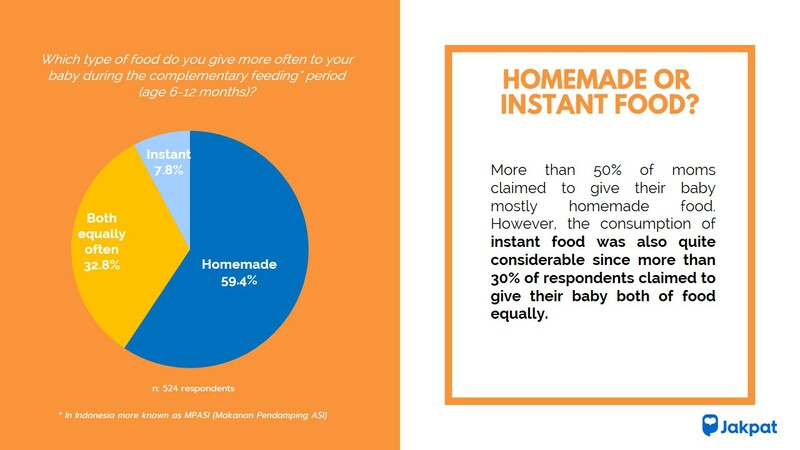 This trend could affect how moms give food to their baby, perhaps more moms choose to make baby’s food on their own instead of buying store-bought food. The awareness of healthy living also encourages parents to give organic food to their baby. So, how is the position of store-bought food right now? And what about the consumption of baby biscuits? 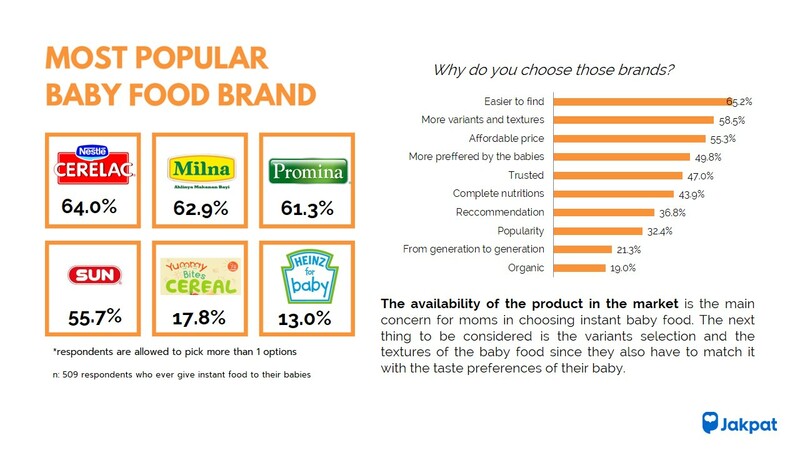 Thus, JAKPAT conducted research about baby food, focusing on the consumption of store-bought food compare to homemade food. 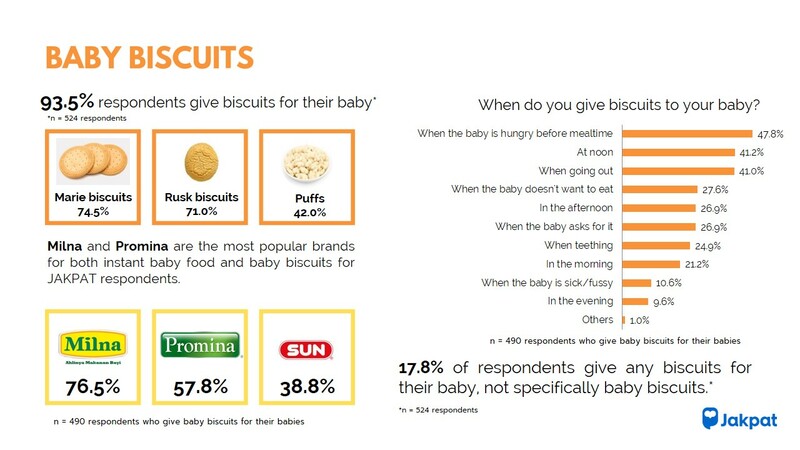 This research also describes the consumption of baby biscuits. 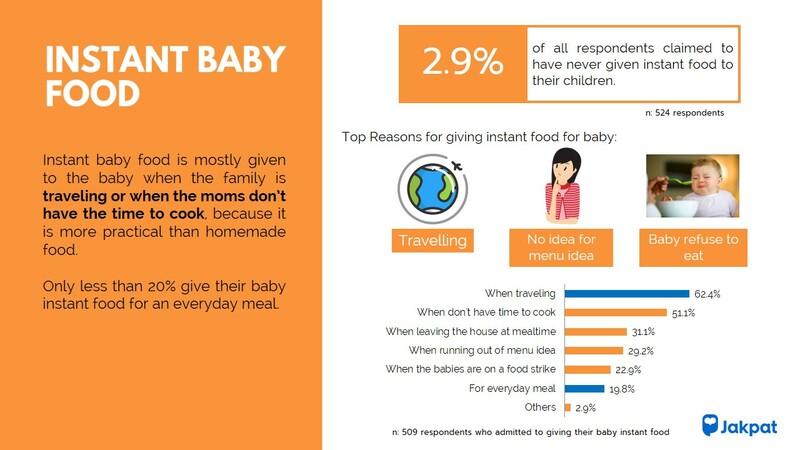 It was conducted at the beginning of December 2018 to 524 respondents who are moms with a baby at the age of 6 to 24 months old. This entry was posted in Download Reports, Health, Housing, Lifestyle on March 20, 2019 by Maulida Kusumaningsari.